Members of the public are being asked if they would be happy having a video call consultation with their GP, as part of new inquiry into primary healthcare in Scotland. Increased use of technology is a key topic in a survey from Holyrood’s Health and Sport Committee to explore what the service should be like for the next generation. The committee launched the inquiry in the face of increasing pressures on the service, which includes GPs, dentists, opticians, pharmacists, physiotherapists, occupational therapists and community nurses or midwives. The survey asks respondents a series of questions about the use of technology, including whether or not they would be happy having a video consultation or receiving test results digitally. They are also asked if they would be happy to share data from devices such as Fitbits and health apps with the NHS “to help improve the health of people across Scotland”. A further question asks if patients would like access to medical staff such as a physio, midwife, nurse or mental health worker without going through their GP. Respondents are also questioned on the convenience of appointment times and whether the current GP model works for patients and the NHS. The survey asks to what extent people agree or disagree with the Scottish Government’s vision for primary care, which is putting it at the “heart of the healthcare system” and creating multidisciplinary teams to deliver care in communities. 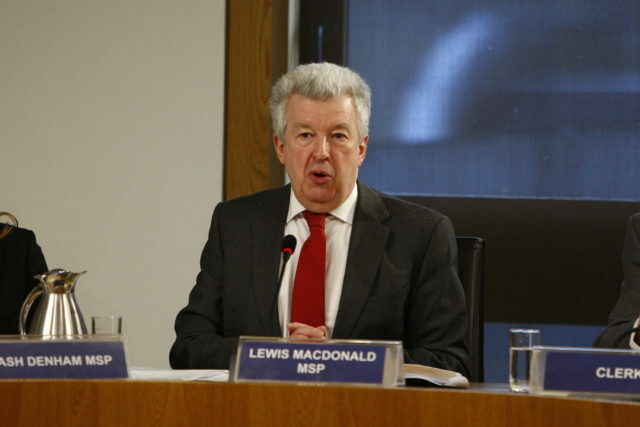 Committee convener Lewis Macdonald said: “Primary care is often people’s first point of contact with the NHS and the provision of these services affects every single person in Scotland at some point in their life. “Undoubtedly, there is a need for the delivery of primary care to adapt and the committee feels that this is the right time to take a comprehensive look at services in the primary care setting. “At this important juncture for the next generation of care, the committee wants to engage a nationwide debate into what that care should look like and how it should be accessed and delivered. “Regardless of whether people have used these services or not, we want to hear from them. The survey closes on April 30 and is available on the Scottish Parliament website.